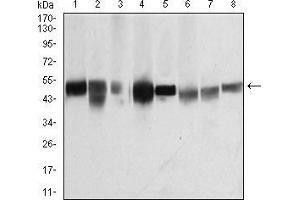 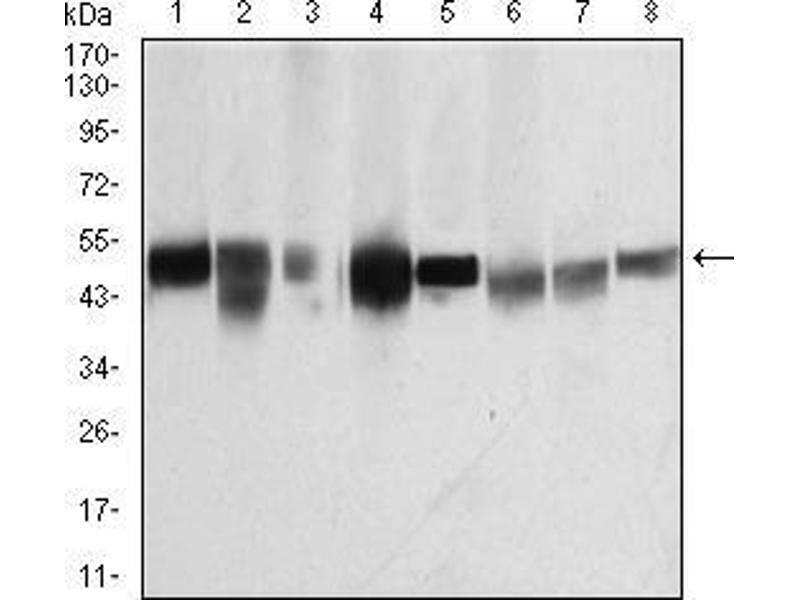 Western blot analysis using TUBB1 mAb against HEK293 (1) and TUBB1 (AA: 33-166)-hIgGFc transfected HEK293 (2) cell lysate. 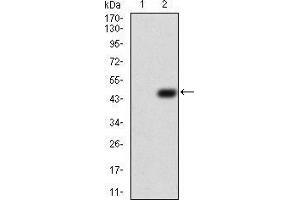 Western blot analysis using TUBB1 mouse mAb against K562 (1), HepG2 (2), A431 (3), Jurkat (4), Hela (5), NIH/3T3 (6), Cos7 (7) and PC12 (8) cell lysate. 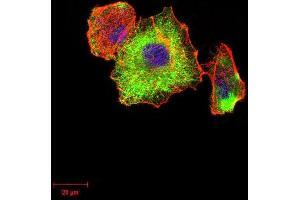 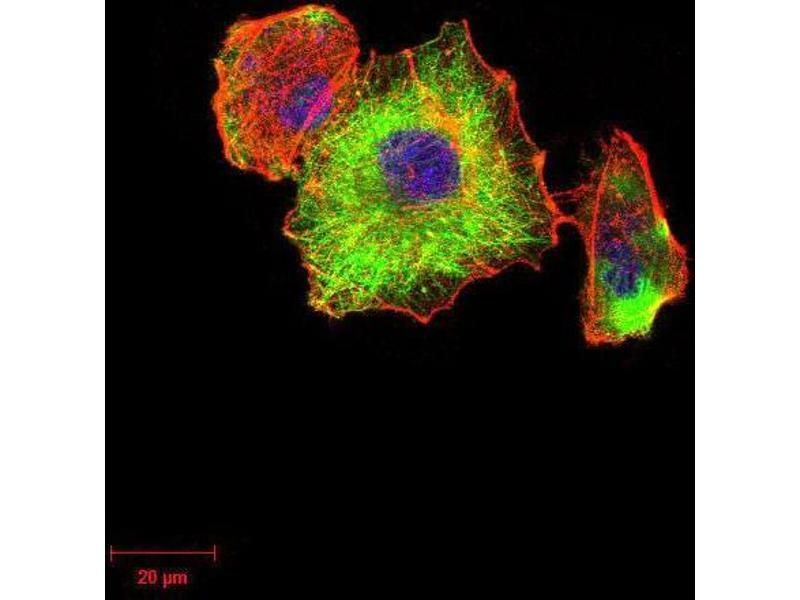 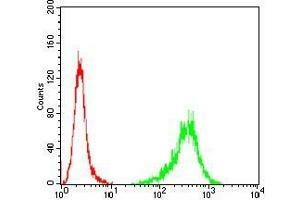 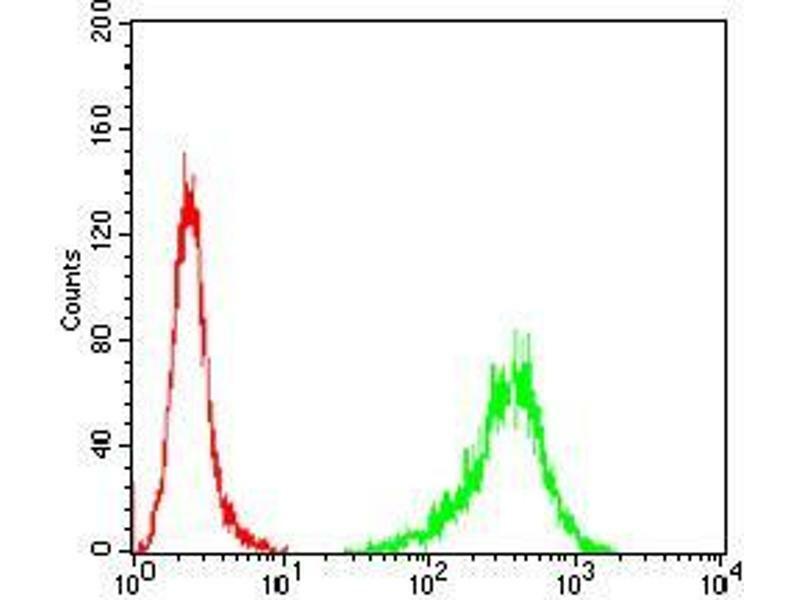 Flow cytometric analysis of A431 cells using TUBB1 mouse mAb (green) and negative control (red). 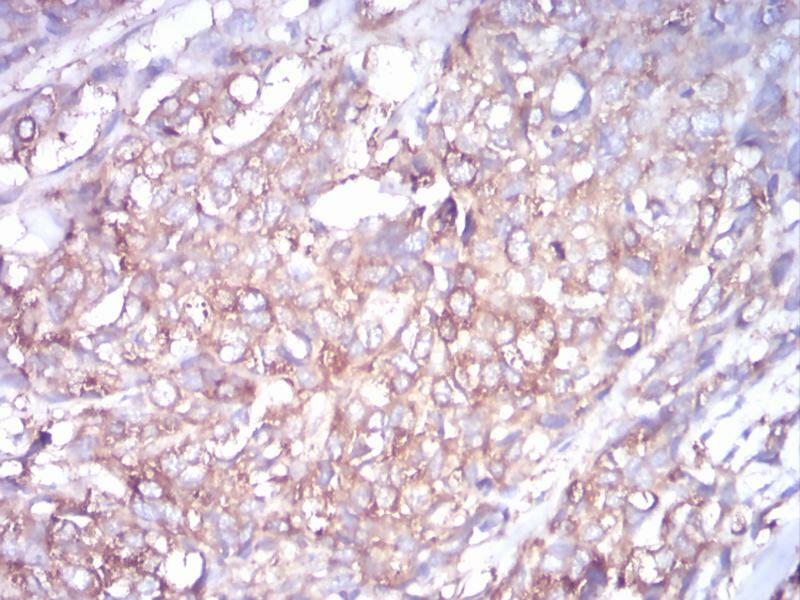 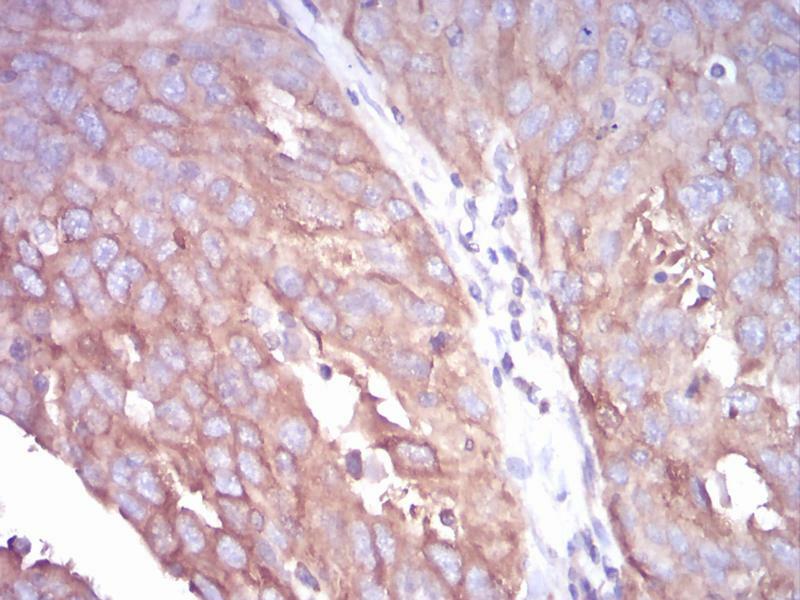 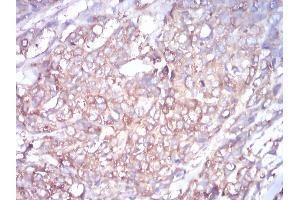 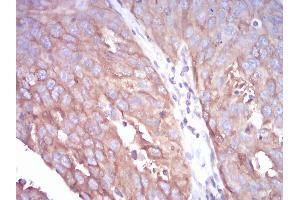 Immunohistochemical analysis of paraffin-embedded ovarian cancer tissues using TUBB1 mouse mAb with DAB staining. 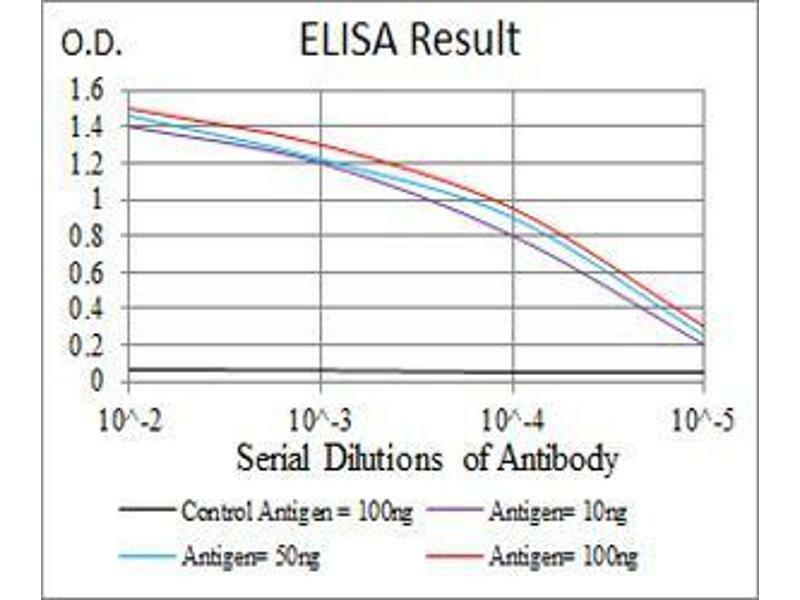 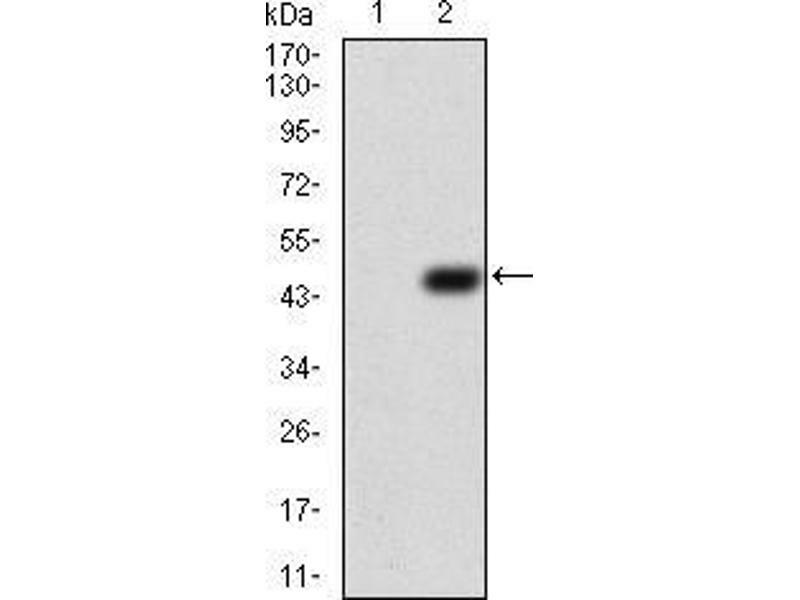 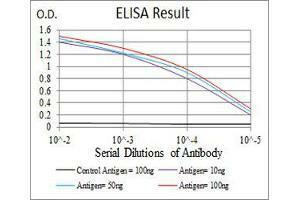 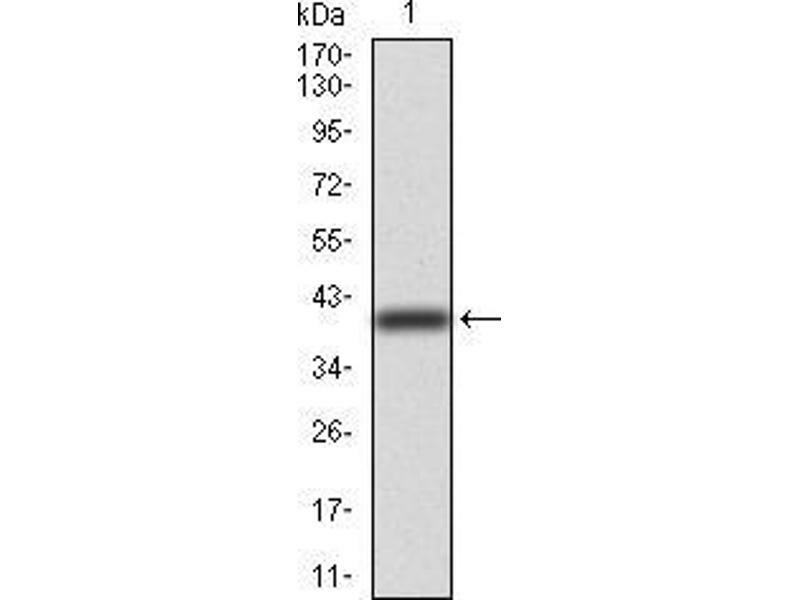 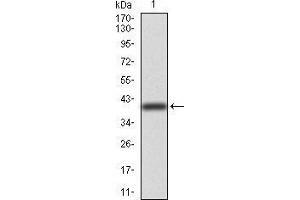 Immunogen Purified recombinant fragment of human TUBB1 (AA 33-166) expressed in E. Coli.